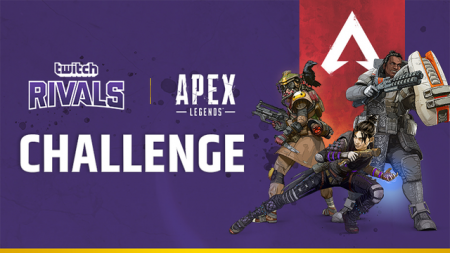 In a recent blog post, Twitch announced its collaboration with Respawn Entertainment to host the Twitch Rivals Apex Legends Challenge, a two-part tournament for the recently released Battle Royale, Apex Legends. The two-part tournament will boast a $200,000 prize pool and will take place on Feb. 12 and Feb. 19. The competition will feature 48 of the biggest streamers from the Twitch community, including Michael “shroud” Grzesiek, Jeremy “Disguised Toast” Wang, and Ali "Myth" Kabbani. The 48 participants will be split into 16 three-player squads where they will then compete in matches to earn points. Each match victory will award teams five points while kills secured in matches grant one point each. The team that accumulates the most points over the course of the tournament will secure first place. Apex Legends released Monday for free on PC, Xbox One, and PlayStation 4. The game is based in the Titanfall universe and introduces class-based characters to the classic Battle Royale formula. Since its release, Apex Legends has found its way to the top of Twitch’s charts, surpassing Fortnite and attracting over 10 million players in just 72 hours. Viewers can check out the two-part tournament for Apex Legends on the TwitchRivals channel on Twitch.